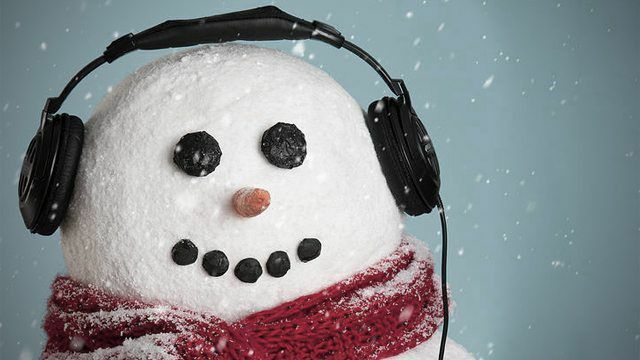 As the winter holidays are quickly approaching, we’ve put together another list of staff and reader recommendations for the best gifts for DJs and producers. 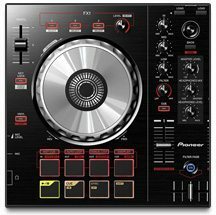 Looking to buy yourself a present, or a unique gift for your DJ friends, or maybe need to send some wishlist ideas to family? This guide is a great starting place – read on and share your own ideas as well. Why It’s A Good Gift: Q-Bert’s Thud Rumble crew puts out the best scratch records. 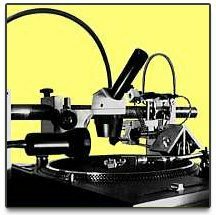 For DJs with turntables, having a set of these records is a great jumping off point for learning how to cut. The records come with breaks to scratch over or to practice drumming with, and of course all of the scratchable samples that you’ve wanted. 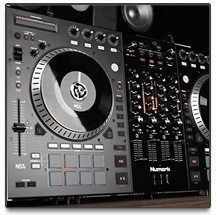 Why It’s A Good Gift: Why have jewelry that looks like a piece of DJ gear but doesn’t actually help you out when push comes to shove? 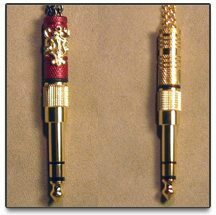 These necklaces have functional 1/8″ to 1/4″ adapters on them that detach in the highly-likely situation that yours has gone missing. Recommended to us by turntablist J. Espinosa. Why It’s A Good Gift: Yep, we’re putting our own Chroma Caps back in the Holiday Gift Guide this year. 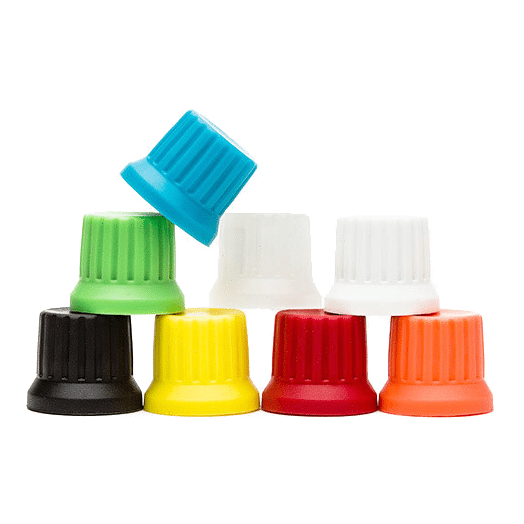 Since last year, the Chroma Caps range has expanded to include more colors, encoders (for browse and loop knobs), and 90-degree oriented pots that fit on Allen & Heath and Pioneer club mixers. 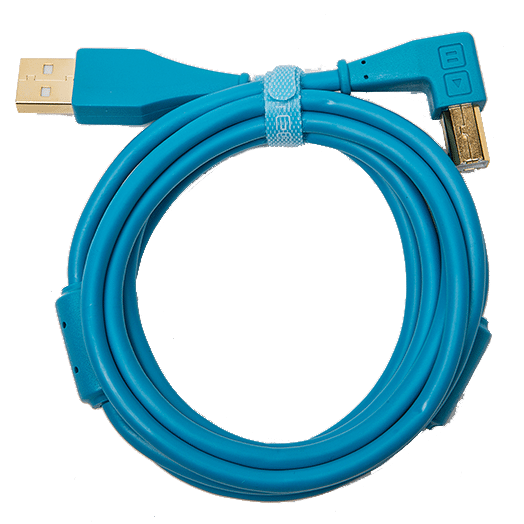 Why It’s A Good Gift: Having clean, easily identifiable cables in a club environment is an incredible rarity – but is very solvable with a snake cable like this one from HOSA. 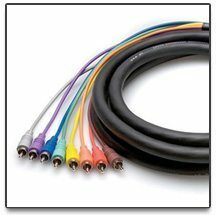 Having unique colors for each RCA also means that wondering which channel you’re plugging in becomes quite a bit easier. Plus, snakes mean that you never have to untangle a bundle of RCA cables! 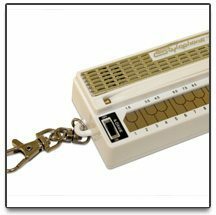 Why It’s A Good Gift: The Stylophone is probably one of the most fun simple capacitive synthesizers out there – but shrinking it down to a keychain size makes it a good gift for producers who might like to try out melodies and harmonies on the go. It’s not studio-ready by any means, more just a fun item to have in your bag. Why It’s A Good Gift: Another item from the Thud Rumble crew, this 99 cent iOS application went under the radar of a lot of DJ media despite being one of the few apps designed specifically for helping turntablists practice. 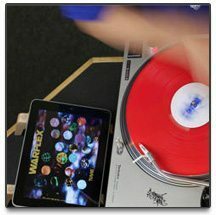 The app allows users to select a beat to scratch along to and even activate a “speed booster” mode that slowly increases the tempo over time for getting better at faster scratching! Why It’s A Good Gift: For a lot of button-mashers, one of the biggest obstacles to getting better is having finger muscles that can sustain throughout an entire performance or routine. 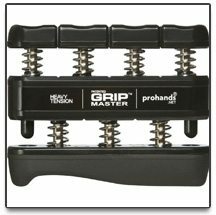 Finger strengtheners like this Grip Master are a simple way to not just get a stronger hand, but to develop muscles on any finger you like – which is why other instrumentalists (like guitar players) swear by them. 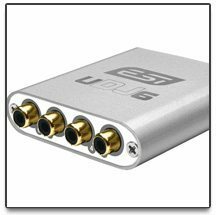 Why It’s A Good Gift: This is probably the lowest-cost 24-bit soundcard out there with six outputs – two pairs of stereo RCAs on one side and a stereo 1/4″ headphone jack on the other – making it perfect for hooking up to an external mixer. It draws power over USB and has a very small form factor – just barely larger than a Native Instruments Audio 2. 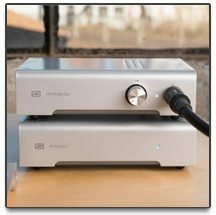 Why It’s A Good Gift: DJs and producers who really care about sound quality can really get behind great-sounding headphone amplifiers, and this low-cost discrete high-output option from Schiit made in the USA is a great introduction to that world. It can drive everything from high-sensitivity in-ear monitors to high-end cans. Why It’s A Good Gift: Adding wireless motion control to a setup that doesn’t encompass an entire controller can be a challenge – but the Hot Hand from Source Audio does exactly that. Control any parameter you want with a twist of your hand – if you haven’t seen Mad Zach’s review, it’s worth watching. 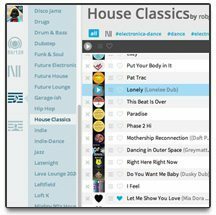 Why It’s A Good Gift: The try-before-you-buy DJ subscription service relaunched earlier this year and is gaining some momentum – with over four million tracks available on the site that can be used in Traktor or Serato. Read more about their service here and even explore their library for free. 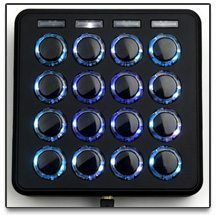 Why It’s A Good Gift: The smallest of the DDJ-S line (and still awaiting a release in the next month – so boxes might be empty under the tree if you gift this), but it’s likely to be one of the most popular budget controllers out there. 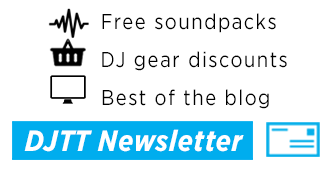 It’s got all of the the essentials – filters, effects, jogwheels, and pads for cue/loop/etc. Why It’s A Good Gift: This 2-channel controller is also a solid sub-$300 controller for DJs just beginning their foray into mixing tracks. 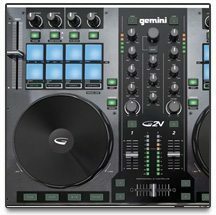 It’s got a bit more controls than the DDJ-SB and is actually available now. 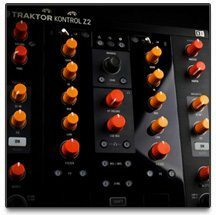 Why It’s A Good Gift: The Kontrol Z1 is the micro-mixer with a soundcard built-in that allows full control over Traktor DJ on iOS and Traktor Pro. Combined with an iPad, this is without a doubt the most portable rig that a mobile DJ can have – having been roadtested by DJTT staff at Burning Man. 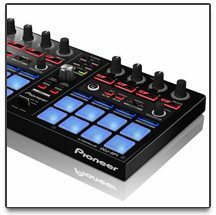 Why It’s A Good Gift: One of Pioneer’s more recent offerings takes the best elements of the DDJ-S line and puts it all into one package. In addition to the solid workflow layout, it also has a pretty great Traktor mapping available – so perhaps a good gift for any digital DJ. 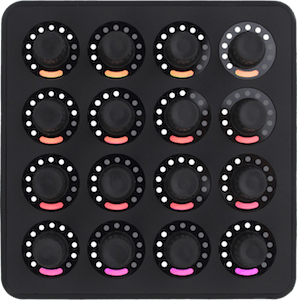 Why It’s A Good Gift: Yep, we’re putting our own Midi Fighter 3D in the running again – mainly because of how we’ve seen the uses grow over the last year. From controlling the visuals for WuTang Clan at Coachella to being the weapon of choice for SETI’s first artist-in-residence, rest assured that giving any type of digital performer a 3D will be a welcome gift. 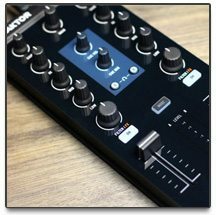 Why It’s A Good Gift: This is probably the controller of the holiday season – despite the massive size and weight, it packs in more controls for Serato DJ than we’ve seen in anything else so far, including some really fun Filter FX. Read our full review here. 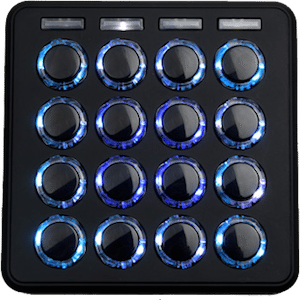 Why It’s A Good Gift: The Ableton Push is to Live as the Kontrol S4 was to Traktor when it was first launched – the ultimate controller for the software built by the company itself. 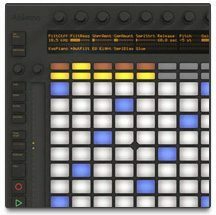 The amount of control just got one-upped with the release of Ableton Live 9.1, including melodic sequencing and parameter sequencing. 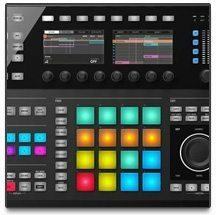 Why It’s A Good Gift: This is the most recent update to the Maschine line – bigger than the other two units and made for serious intense studio work, it also has two full color screens that allow the producer to keep track of everything going on with ease. 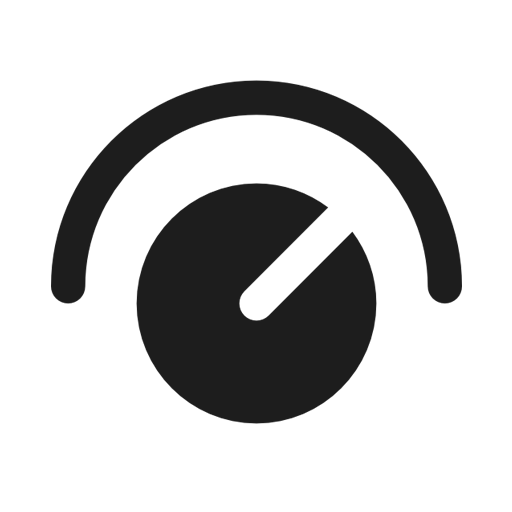 Why It’s A Good Gift: Music-making and producing platforms have adopted the iOS platform for all kinds of uses – from live production and performance to some of the most portable DJ solutions out there, like Traktor DJ. 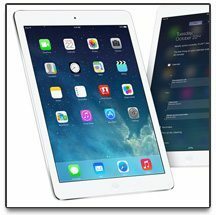 The new iPad Air is the most portable iPad yet, making it perfect for the road and an easy addition to any DJ workflow. 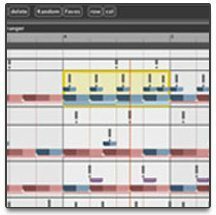 Why It’s A Good Gift: Forget writing beats on a DAW’s piano roll – WaveDNA is a fun software just for composing beats using a more unique approach. Access wide array of MIDI patterns and effects made for creating interesting rhythms on the fly, and when you’re done, quickly bounce them out to Ableton. 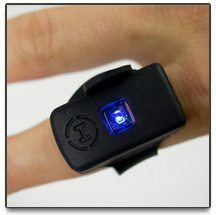 Watch this video demo to see the power. Why It’s A Good Gift: Truly above and beyond a normal gift – the ability to engrave blank vinyl records with tracks of your choice. Perfect for small releases and custom records, but it comes at a steep cost. 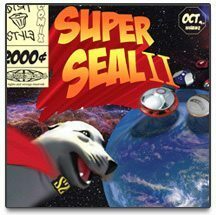 Oh, we should also mention you’ll need to have a turntable to mount the entire thing onto as well. Why It’s A Good Gift: Our friends over at livestreaming DJ service Mixify actually clued us in on a service that they do for DJs – custom motion graphics and visuals for DJs and producers. 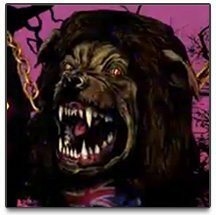 They’ve been building visuals for a while – including some for Wolfgang Gartner and Tommy Trash – as well as smaller DJs at affordable price points. If you’ve got an empty projector screen behind you at your gigs, take advantage of it! Ideal For: DJs Who Eat Food? 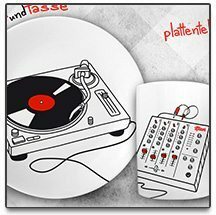 Why It’s A Good Gift: Wake up after a long night at the club and serve up some bangers (and mash) on your DJ-themed plates. 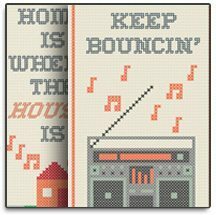 Why It’s A Good Gift: Our San Francisco neighbors at Mixerfriendly have some pretty cool DJ-related clothing and swag that are worth sharing as a part of this guide – personally we’re big fans of these two posters “Get Bouncing” and “Home is where the house is”. 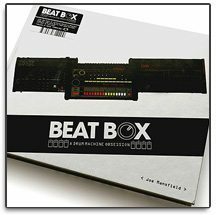 Why It’s A Good Gift: This coffee table book is full of over 200 pages of photos and interviews surrounding 75 different drum machines and the artists and innovators who used them. Covering unts made from the 1950s to the 1980s, there’s plenty in here to keep an analog drum maschine enthusiast entertained for hours. Have some gear that you think deserves to be in our guide? Let us know in the comments below and we’ll add the best of them to the article!